A Phoenix-based American Airlines flight attendant was sentenced to five years of probation for taking videos of men and boys using public restrooms. PHOENIX, Arizona — A Phoenix-based American Airlines flight attendant was sentenced to five years of probation for taking videos of men and boys using public restrooms. Special Agents with ICE’s Homeland Security Investigations (HSI) say that on December 30, 2017, they detained Gordon Harold Nobriga, 50, as he was trying to leave the country through El Paso, Texas. Officials searched Nobriga's cell phone and found "numerous videos of men and boys using a public restroom." Investigators say the videos appeared they were produced through a 'peephole' in a bathroom stall. When questioned about the videos, Nobriga reportedly told HSI that the videos were produced in a store, but he refused to give the store's location. Since Nobriga is from Phoenix, the phone was sent to the Homeland Security Office in Phoenix where investigators were able to determine that the videos came from a Walmart store in Phoenix. They say surveillance video from the store shows Nobriga entering the bathroom several times over a two-month period and spending hours in the bathroom each time he went in. Investigators were able to identify two victims, a man, and a 14-year-old boy, both who do not know Nobriga. 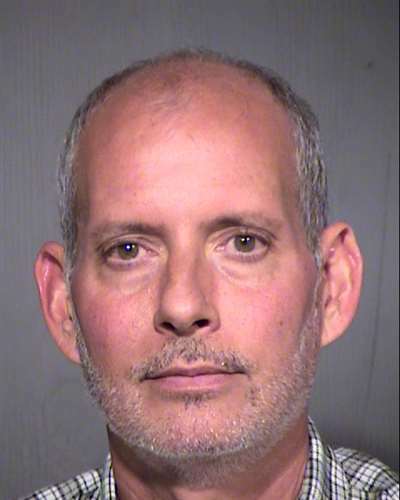 Nobriga was arrested on May 25 at Sky Harbor Airport as he exited a flight. On August 16 of this year, Nobriga pleaded guilty to two counts of attempted voyeurism and was sentenced to five years of supervised probation. Nobriga said he's been a flight attendant with American Airlines for sixteen years. Nobriga allegedly admitted to taking the videos, but he denies any distribution of them. He's was initially charged with 11 counts of voyeurism.